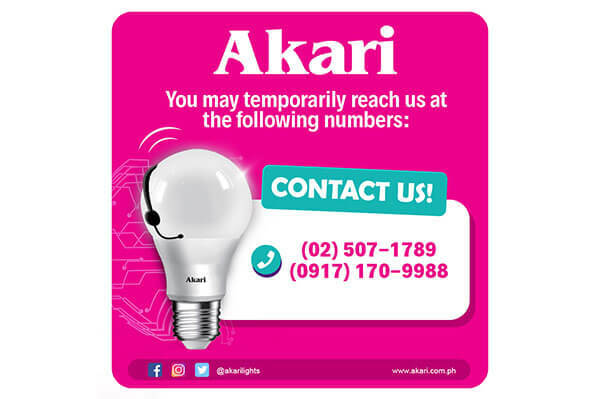 Temporary Contact Numbers – Akari Lighting & Technology Corp.
Our apologies for any inconvenience. While we are fixing our trunkline, you may temporarily reach us at the following numbers. Looking forward to assisting you soon!